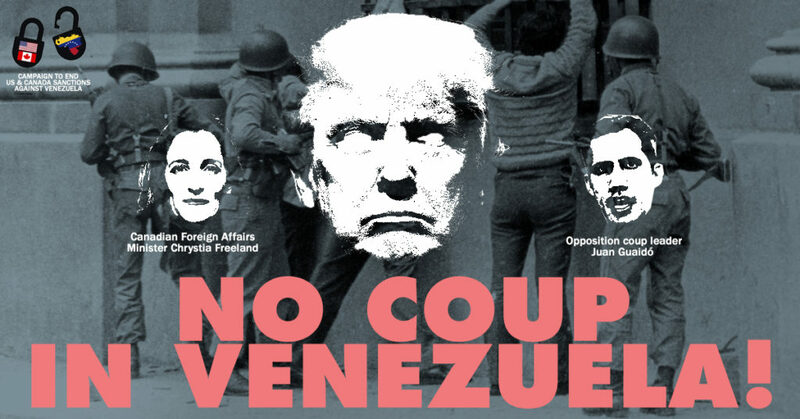 The purpose of the Venezuela Solidarity Campaign is to expose and oppose US government and corporate intervention in Venezuela’s sovereign affairs; to mobilize US residents to demand that relations between the two countries be based on peace and respect; and, to promote people-to-people exchanges between our two countries. The Alliance for Global Justice currently publishes the Venezuela Weekly every Friday. Subscribe Here or Read it every week online. AfGJ is a member of the Campaign to End US & Canada Sanctions Against Venezuela. The campaign invites you and/or your organization to endorse this call against the illegal, unjust and cruel sanctions being inflicted on the people of Venezuela. Send a message to your representatives! Take Action! Send a letter to Congress: Hands off Venezuela! No Sanctions! No Coup! No War! Hands Off Venezuela! Tell Sen. Durbin that the US doesn’t choose who is president of Venezuela!